The Living Building Challenge sets a number of Imperatives for creating a sustainable building, and #8 is Civilized Environment. This recognizes that people are healthier, happier, and more productive if they have access to fresh air and daylight. For Amazing Space, the upper portion of every window is operable, allowing guests and staff to enjoy the fresh air and sounds of nature. 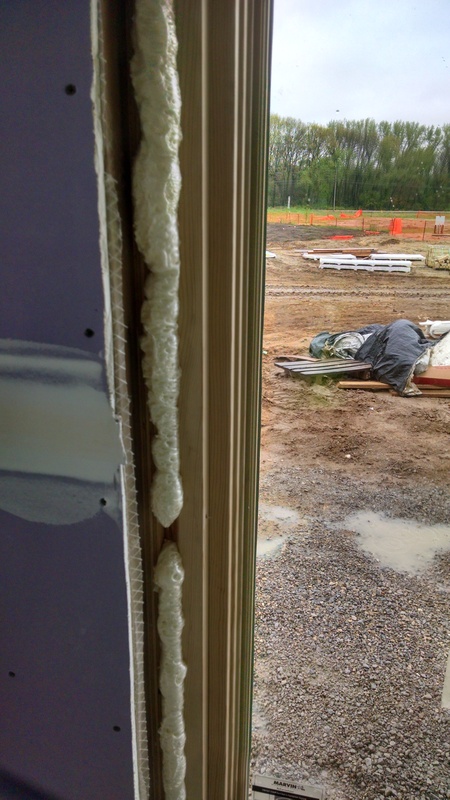 To maintain a continuous air and moisture barrier between the inside of the building and the outside, after installation the windows frames are sealed with an expandable foam, creating a water-tight barrier. 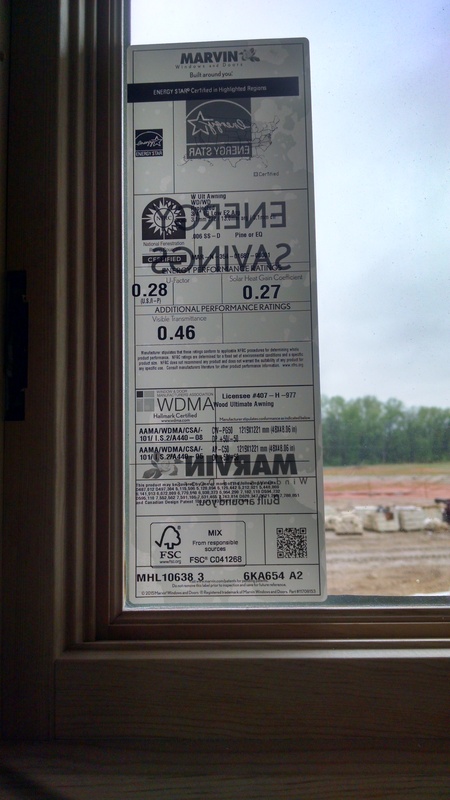 The U-Factor of a window measures the heat loss. The lower the number (on a scale of 0-1), the less warm air leaks out through the windows during the winter. Our U-Factor is 0.28, and contributes to our overall envelope of R-30. 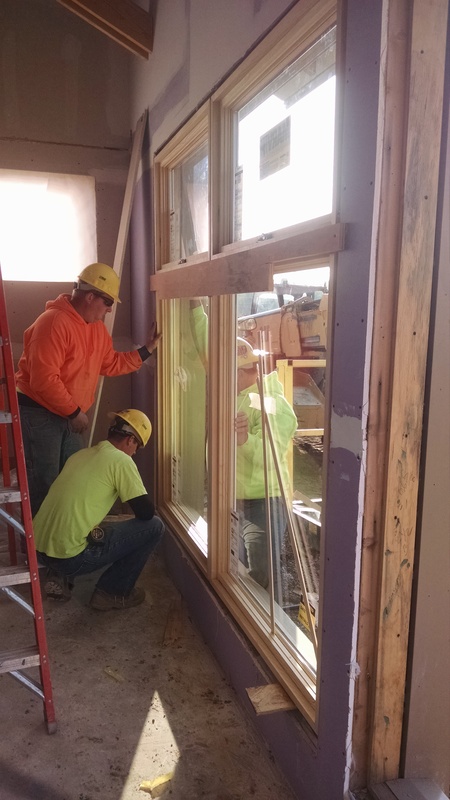 The Solar Heat Gain Coefficient of 0.27 is a measure (on a scale of 0-1) of how much solar heat the window allows into the building. 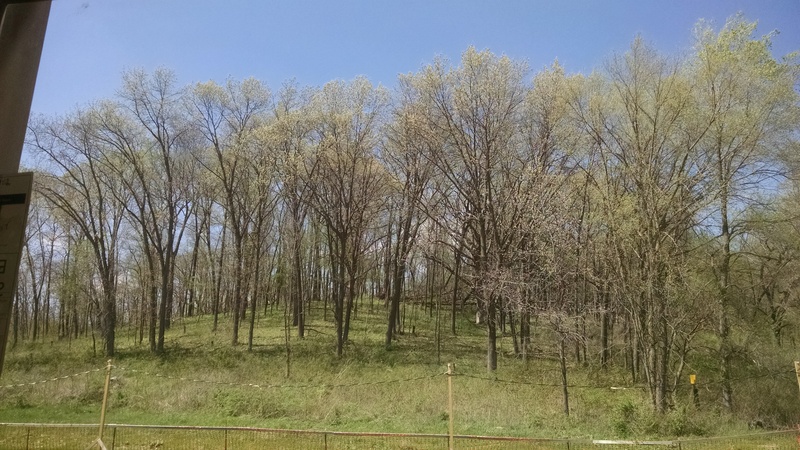 The low SHGC will help keep the building cool in the summer. The 10th Imperative of the Living Building Challenge is biophilia, which focuses on designing a building that “includes elements that nurture the innate human attraction to natural systems and processes.” The viewscapes provided by Amazing Space take advantage of the existing natural woodlands to the north and prairies to the south. This is the view out of a newly installed office window.